TORONTO -- Police in Toronto have recovered the remains of at least six people from planters on a property connected to alleged serial killer Bruce McArthur, officials said Thursday. Detective Sgt. Hank Idsinga said the remains, found on property McArthur used as storage in exchange for doing the landscaping, included some from one of the five men McArthur is already charged with killing, Andrew Kinsman. 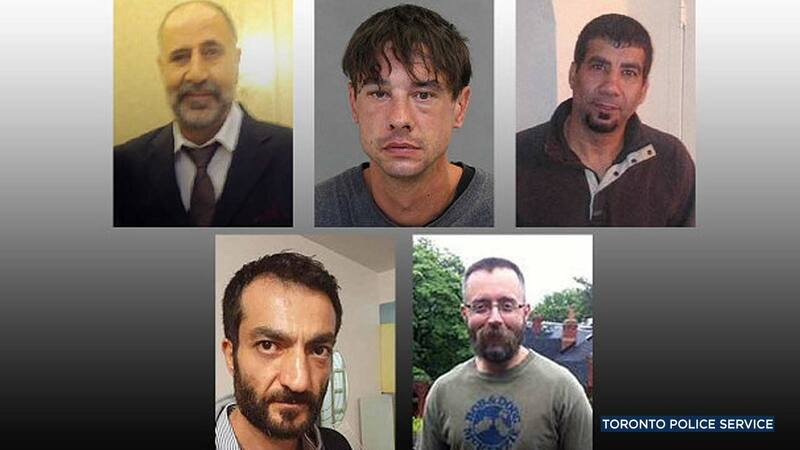 McArthur was arrested Jan. 18 and charged with two counts of murder in connection with the disappearances of Kinsman and Selim Esen, two men last seen in the "Gay Village" district of Toronto. Not long after that, he was charged with the murders of three more men and police said they were on a wide search for other possible victims. Police expect to file more charges. Investigators are still working to determine who the other alleged victims are from the property. They haven't determined yet if they are the same men or other people. Authorities have checked at least 30 other places where the landscaper was known to have worked, including some of Toronto's wealthiest neighborhoods. Police have said they expect to find more remains in the planters they've retrieved from around the city. Idsinga said they have about 15 planters now, but he declined to say where they are in examining them. Investigators are also starting to excavate part of the lawn at the home where the new remains were found. Police have set up a large tent and heaters on the property to keep the ground from freezing and a forensic anthropologist arrived at the property on Thursday. The two-story home sits across from a park and next to small apartment buildings in an upscale neighborhood. Idsinga said investigators finished searching inside the house and the garage and said the occupants of the home are free to return, but can't go into the backyard. Idsinga said police have thought about excavating a second property elsewhere, but said it might depend on what they find in that backyard. Investigators have not yet released complete details, but the 66-year-old McArthur is believed to have met his victims cruising around the city in the van he used for work and on gay dating apps for older and large men with names such as "SilverDaddies" and "Bear411." In his SilverDaddies profile, McArthur described himself as 5 feet 10 inches tall and 221 pounds and primarily interested in younger men. "I can be a bit shy until I get to know you, but am a romantic at heart," he wrote. On his Facebook page, he posted pictures of his cats, children and grandchildren and of himself dressed as Santa Claus. "There is an extensive digital investigation going on," Idsinga said. "We're going through computers. We're going through cell phones. We're going through online applications and different apps." Edward Royle, a lawyer for McArthur, has declined comment on the case. McArthur is due back in court on Feb. 14. He has yet to enter a plea. The other three known victims are 58-year-old Majeed Kayhan, who went missing in 2012, Soroush Marmudi, 50, who went missing in 2015 and Dean Lisowick, who went missing between May 2016 and July 2017. Police said Lisowick, who was in his mid-40s, was homeless, stayed in public shelters and had not been reported missing. Kinsman, 49, went missing last June and Esen, 44, was reported missing last April. Police will eventually look at hundreds of missing person cases and try to determine if they were victims of McArthur. They are also running down tips that have come in from around the world. "We are dealing with some agencies overseas," Idsinga said.